Xtensible Solutions has become a leading provider of semantic-based integration and information management solutions to the utility industry worldwide. 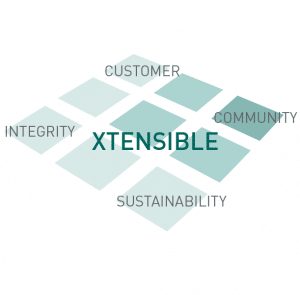 Within this solution space, Xtensible has brought together the best practices of business, standards and enterprise information management (EIM) and applies them to the unique business challenges of electric utilities, using Xtensible’s Model Driven Information, Integration, and Intelligence (MD3i™) Framework. Over the years we have expanded our capabilities through our solutions and services to address the needs of utility companies around the smart grid, analytics, business intelligence and the increasing demand & complexity around systems integration. To deliver and empower our clients with sustainable end-to-end solutions in a repeatable and cost effective manner. To be the preferred partner of utility companies. Utility data and system integration, analytics, enterprise information management and Smart Grid enabler. Helping Customers Do More With Less: We empower IT departments to deliver business solutions in a repeatable manner that is cost-effective and faster while requiring fewer resources. Helping Customers Avoid Vendor Lock-In: We work with utilities to architect solutions that prevent vendor and technology lock-in. Being the Trusted Advisor: We are part of the customer’s team to ensure that they get the most value from their chosen technologies, system integrators and approaches to data management. Reducing Customers’ Risk: We prioritize reducing our customers’ risks in large integration projects. Applying Standards: We provide a means for customers to leverage and drive industry standards as appropriate. Encouraging Financially Sound Decisions: We provide the guidance and direction for our customers to make sound investment decisions for both the short-term and long-term benefits of the company.